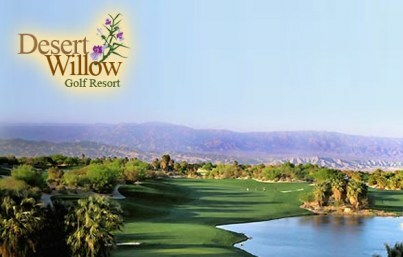 Desert Willow Golf Resort is a 36 hole public golf facility located in Palm Desert, California. 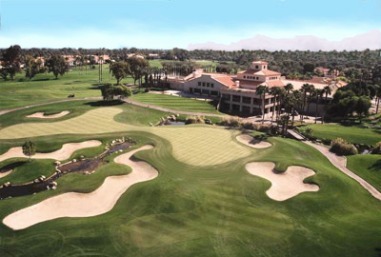 The facility offers two championship golf courses, The Firecliff Course and The Mountain View Course. 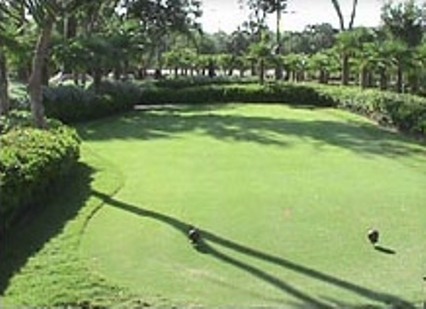 The golf courses were designed by the team of Michael Hurdzan and Dana Fry. 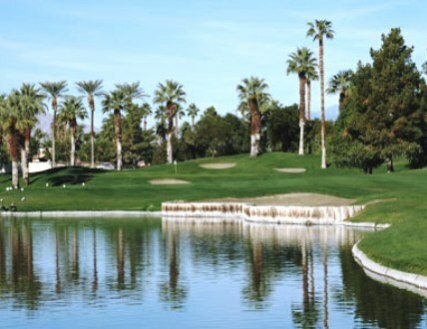 Firecliff measures 7,056 yards and is a true test of skill where golfers must negotiate their way around extensive natural areas, over 100 bunkers, and numerous water features. 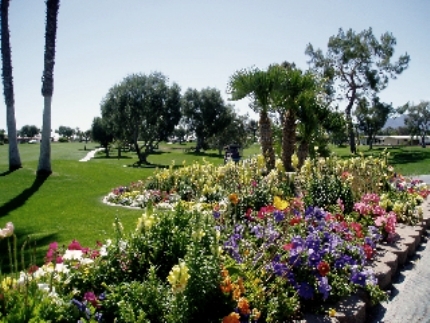 One of the more resort type southern California golf courses is Mountain View with wider fairways and limited desert waste areas. But don’t be deceived; Mountain View, plays to 6,913 yards and is rated just slightly less difficult than Firecliff. With more forgiving fairways, 98 well-placed bunkers, sloping greens and seven water features, Mountain View will challege all skill levels. This is a very scenic design. Great condition, excellent greens, tough to read and hard to judge speed. The Fairways are pretty generous. The second shot is the key to this course. The back tees are just at 7,000 yards. This course is challenging for all levels. Great Clubhouse with a super restaurant overlooking the 9th and 18th holes. I enjoyed the course and will be playing it again soon. The only detraction is that the bunkers were over filled with very soft sand. Diffcult to provide a good assessment as when I played, it was just a week or two before the course would be shut down for winter reseeding. As such, conditions of the fairways and greens was not what they would typically be from what I have heard. I did enjoy the layout and the scenery was great, and the course provided plenty of challenges. I would love to play it again whne in top condition. Played behind group of women pros, who were very deliberate and slow, apparenly practicing for event to follow. Very nice course with tees appropriate for skill set and challenge desired. Would gladly play again, but with better pace of play not a distraction from course. 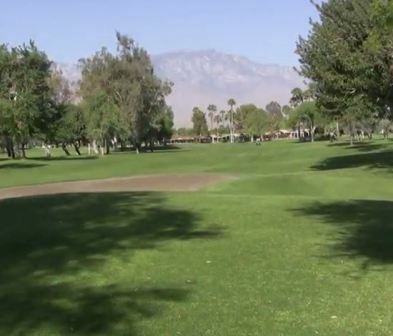 Desert Willow is as good as any golf facility in the Palm Springs area. 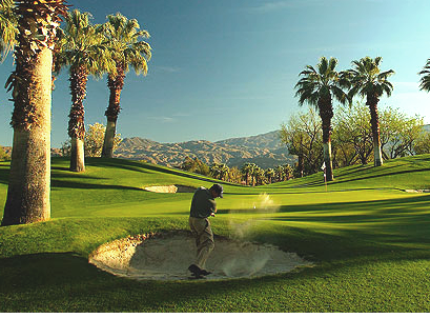 It ranks better than any of the PGA West courses or any of the exclusive private country clubs in the area. Best time to play is first thing in the morning. Views are fantastic and you can hear the coyotes howling! 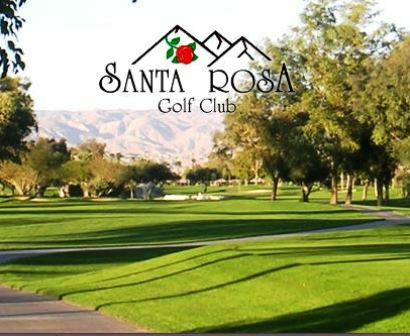 Have played here the last 6 years, and is one of the highlights of our Palm Springs Area sojourn. A bit too tricked up. Greens were not in very good condition. They don't mow the greens. Third time I played and I get a different excuse eash time. I was told the manager Darryl has been told many times and doesn't care. If you are a 30 handicap or a scratch golfer, it is nice to have the ball roll. STAY AWAY. We love this course and play it often however it is expensive for your guest. Has a Country Club feeling about it. Great experience, played on a 110 deg afternoon so hydration is a must. Course water in great shape, greens were a bit slow (time of year)but held their line. Would highly recommend. 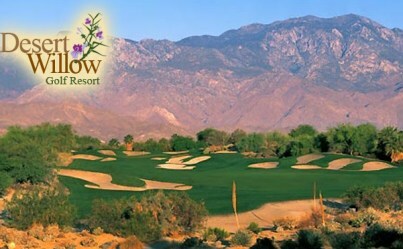 The Firecliff course (one of two fine courses) was in excellent condition considering the desert weather, 100+ degrees! The staff is very friendly, including the marshall who is out there with chilled-mango-scented towels. There is also a great summer deal $85 - unlimited golf + lunch! Challenging course in excellent shape despite extremely hot weather. Courteous staff, worked with our group of 44, providing a shotgun start.